You can utilise the categories function to sort your posts into specific pages on your site. To do this you will need to first add categories to your post and then add the categories to your menu. When creating a post you have the option to assign a category to that post. This is possible from the menu on the right hand side in which there will be a categories menu. This menu will allow you to select a category for your post or create a new category. To create a new category click on the Add new category button and add a title for your category. 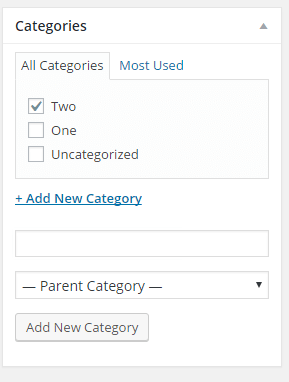 You are able to add sub categories by selecting a parent category. 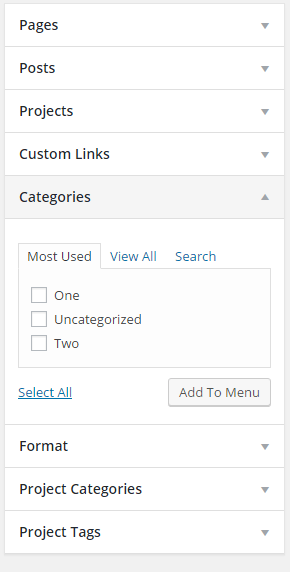 Once you have added categories and assigned them to your posts you can add these categories to your menu. This will make the posts in that category appear in their own separate page. To edit a menu either use the customizer or click on the appearance tab on the left hand side and selecting the Menu option. This will give you the option to create a new menu or edit and old menu. Use the options on the side to add the categories to your menu, click on the categories tab and select the categories to be added to the menu and select add to menu. You can then restructure your menu by dragging and dropping or by clicking on Save menu. This will add your categories as page links on your site navigation. Return to your site to view these changes. If you want your posts to only be available within the categories then you can choose to hide your posts page by removing it from the menu and by making your front page a static homepage. 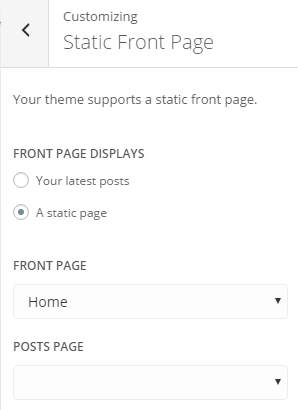 To change your homepage to a static front page enter the customiser from the appearance tab and navigate to the Static Front Page tab. This will allow you to make your homepage a normal page on which you can add content. Note: Some themes do not support this option. You can then choose to remove your posts page from the menu by using the menu editor in the appearance tab.